Commercial litigation involving labor and employment law requires the skill of experienced defense attorneys. At The Blanch Law Firm, our litigators have in-depth knowledge of New York and federal labor law, labor and employment standards, union negotiations, arbitration and much more. We are actively involved in the labor negotiations of our clients, as well as labor laws that affect them. Our litigators apply a results driven approach to every piece of litigation, assigning five or more members of our employment lawyer team to every case we handle. 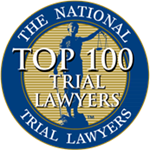 Our successful track record of handling high profile litigation has been covered by the Wall Street Journal, The New York Times, ABC News and other major media outlets. 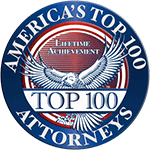 We handle high profile and “bet the company” cases, which usually involve contentious issues. Our Complex Litigation Team employs expert witnesses in the areas of labor law, fair labor practices, union negotiations and more, assuring our clients of a positive outcome. At The Blanch Law Firm, our employment lawyer team has over fifty years of combined experience handling commercial litigation involving labor law. Our experience includes knowledge of: Federal Labor Law – including the Americans with Disabilities Act (ADA), EEOC standards (including Executive Order 11246), the Fair Labor Standards Act and much more. New York Labor Law – including laws governing the employment of minors, minimum wage laws, union laws and more. Every labor law attorney at The Blanch Law Firm applies their sophisticated understanding of labor and employment law to every case we handle. Our complex litigation team also advises and counsels our clients on labor issues such as employment posters, wage and hour class actions, hiring practices and more. 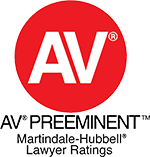 We are a trusted confidant for a number of corporate executives, providing them sound legal counsel on human resources practices, employee benefit issues, executive compensation, white collar matters and more. 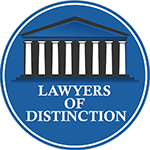 Our litigators possess a unique background, having served with District Attorneys’ Offices and some of the nation’s largest law firms. We understand plaintiff tactics, government investigation procedure and how to best defend against them. The Blanch Law Firm is a trusted labor and employment law firm, and our labor lawyers are prepared to assist you with any and all legal issues you may be facing. If you have questions regarding state labor lawyers, federal labor laws or a related matter, Contact us today at 212-736-3900.